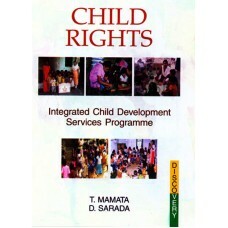 Child Rights is an outcome of Doctoral research carried out by Dr. T. Mamatha under the guidance of Dr. Sarada. The book covers in detail the child rights knowledge. Attitudes and practices of ICDS field level functionaries and the mothers of child beneficiaries. The book also high lights the child rights approach to ICDS programme and analyses the coverage of child rights; Health, Nutrition and educational rights of preschool age children. The book is highly useful for teachers, students, researchers, development professional working in the area of Child development, Social work. Psychology, Low, Education, Adult and Population education and women studies.